Q: Who’s running this stuff behind the scenes? A: Ryan and Chrissie Petrie. Hubby and wife, beast and beauty, dummy and Dr.
Q: What made you start WSM? 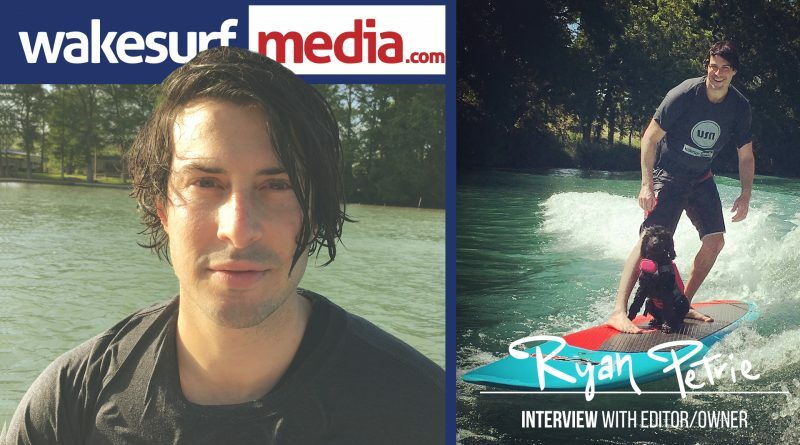 A: Ry has a degree in graphic design and a passion for wakesurfing, so something like this had always been on our mind. One night we were all hanging out around a bonfire at a buddy’s house who had just gotten into wakesurfing. He asked if there was somewhere he could go to see solely wakesurfing content online when he was on a break at work. Ry cited a bunch of different places he could go but they then both realized there really wasn’t a central hub. More or less, it was either scattered around social media and the internet or mixed in on other websites that covered way more than just wakesurfing. So, with a little time and patience, wakesurfmedia.com and the attached social media accounts were born! 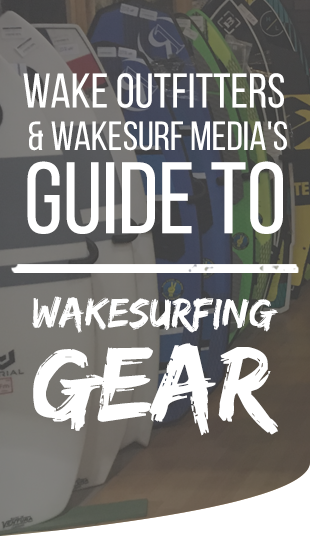 Q: What’s with the name Wakesurf Media? A: Good question! We played around with a few ideas at first but none of them seemed to land. Wakesurf Magazine was one, but we weren’t a physical magazine so we didn’t want to confuse anyone [plus that is already taken I think?]. Wakesports Media was another, but since we only wanted to cover wakesurfing we felt like it wouldn’t fit either. That’s all the other ones we can think of off the top of our head, but we’ll update this is we come across any others we discussed! Q: Your logo has the letters WSM yet the name of the site only has two words – Wakesurf Media – why three initials for only two words? A: Listen here brochacho… just kidding of course! Out on the ol’ interwebs people use both “wakesurfing” and “wake surfing”. We feel like since other towed watersports are categorized as just one word “wakeboarding, waterskiing, kneeboarding… etc” it was only right to have wakesurfing considered in the same category. But, for the logo, “WM” looked sort of ‘bleh. Plus, only having two letters seemed very “GQ”, so we decided on WSM instead. Q: How does the site/social media make money? A: Lol, this thing actually costs us a ton of money! At this time (June 2018), we have no means of monetary income from WSM. At one time we sold hats and t-shirts, maybe we’ll do that again sometime, but that’s a whole lot of work to net a whopping $5 profit. Instead, we get gear and equipment sent to us from sponsors and friends (and if we’re being honest that’s where any profit would go anyway) so we’re super pumped and couldn’t be happier! Q: How long have y’all been wakesurfing? A: Ry has been riding for a loooooooong time and Chrissie has been riding for about 5 years. Q: Did you do anything else on the lake before wakesurfing? A: Yep! Ry was heavy into wakeboarding growing up, both behind the boat and at the cablepark (Texas Ski Ranch). Chrissie got into wakeboarding as well, but later than Ry, probably around 2010 or so. Q: What sets you apart from the other content creators out there? We have boundaries and are family oriented. That means no butts, beer chugs, swearing, or other various aspects of the Bro-Culture. Absolutely 100% no hate on them though, we know our market is significantly smaller than theirs since we won’t post that stuff, but it’s just not our thing. Also, and this is relatively new, we won’t post content without someone wearing some sort of vest. Shirts on top of vests are dope, we’ll post that all day, but if we can tell you’re not wearing a vest we won’t repost your media. We focus on others rather than ourselves. We do our best to cover a wide variety of riders and companies. We feel like if we can help wakesurfing grow and reach new folks we’ll also grow and reach new folks. We have three pillars we try to accomplish every time we’re on the water. Share the lake, share the love, and be kind out there. Q: What type of boat do you have? Q: What boards are you riding? Liquid Force Doum Skim, Doum Skim Pro, TC Skim, and a mixed bag of other models. Probably many many more than we’re remembering off the top of our head. Q: What’s the best part of running the site/social media? A: Getting to hang out and talk with other wakesurfers! Q: What’s been the hardest part of running the site/social media?